Works by Marina Abramović and Richard Long are included in this year's Summer Exhibition at the Royal Academy of Arts in London. The annual exhibition is the world’s largest open submission contemporary art show. Now in its 249th year, the Summer Exhibition provides a unique platform for emerging and established artists to showcase works across painting and printmaking, photography, sculpture, architecture and film. Read more about the exhibition at the Royal Academy's website. 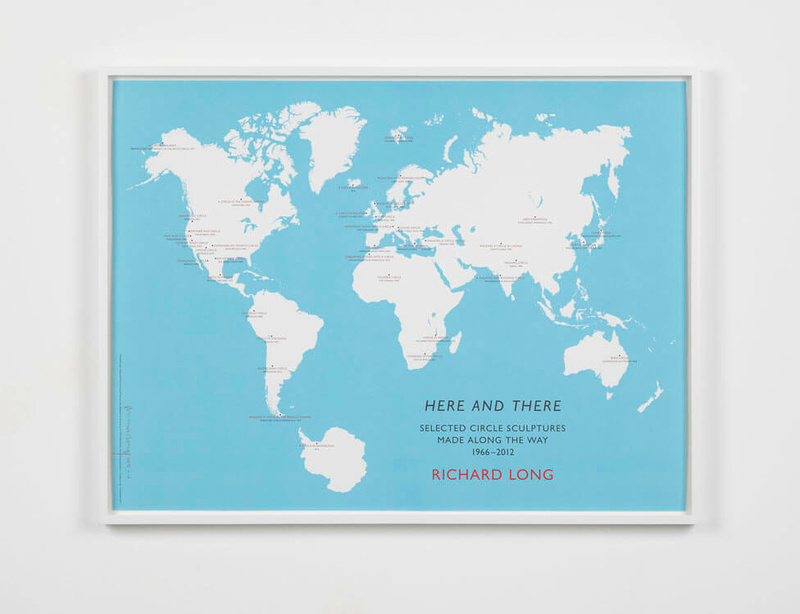 Image: Richard Long, Here and There, 2016. Print, 59.5 x 79 cm (23 3/8 x 31 1/8 in). © The Artist; Courtesy Lisson Gallery.